Mishenichnas Adar, marbim b'simcha... the implication is that there should always be simcha in our lives... just even more simcha in Adar. Being b'simcha is a core part of our mission here at FTI - simchas hachaim and simchas hatorah. Simcha comes from knowing deep down that we are doing the right thing, being productive, and that there are people in our lives who care about us and love us deeply. B"H these key elements resulting in true simcha resonate loudly in Yeshiva where our talmidim are truly happy and are shteiging so beautifully. Please see below and read about some of the recent exciting happenings here at Yeshiva. Shabbaton in Yeshiva with Rabbi Akiva Grunblatt, Shlitah, Rosh Yeshiva of R.S.A. The Torah instructs one not to accept any bribe, for it will blind one's vision and skew one's judgement. The Gemara in Maseches Kesuvos (Daf 105) writes, the effects of bribery are such that the recipient feels close to the giver, and becomes to a certain degree, "k'gufay" like he is one with the giver. The Gemara continues, that this is the reason why a bribe is called “shochad”, it’s a makeup of two words shehu chad, which means "that he is one". Once a bribe is taken, the natural tendency is to be biased, because everyone loves himself and sees no fault in himself. The recipient's judgement will therefore be swayed somewhat to that giver's benefit. The Gemara then extends this to accepting shochad d'varim a verbal bribe. The SM"A, a great commentator on the Shulchan Aruch Choshen Mishpat, gives an example of this. If someone isn’t accustomed to initiate a greeting to another, and one day does initiate a greeting, he is verbally "bribing" the other person. Chazal are telling us that even a plain greeting will sway the recipient’s judgement and he will now feel closer to the one who greeted him. We see how meaningful and significant every single human interaction is. Any time someone does or says something extra for another person, the positive feelings that it generates are so strong, that it’s impossible not to affect one’s judgement. We should never underestimate the power of even the smallest gesture to another person. Even just one kind comment will form a stronger bond with the recipient, which will be embedded into the recipient's emotions. It would seem that the opposite is also true, unfortunately. We should never say, “It was just a joke or they’ll get over it”. Every single interpersonal interaction makes a powerful impact on the heart, which will engender a feeling of closeness, or God forbid, a feeling of pain. May we all be zoche to internalize this message, and use the tremendous strength latent in every single interaction, to create feelings of shalom, closeness, and harmony. Sun - Thu 2:15 p.m., 2:45 p.m. Receive the FTI e-Newsletter directly to your Inbox. Sign Up Here. FTI Open House - Rabbi Hoffman, FTI's General Studies Principal speaking. Rabbi Chaim Pass, Rosh Yeshiva from Israel, with the FTI Roshei Yeshiva. The Entire Yeshiva Celebrating at the "Blatziv"- where every talmid completed his quarterly (oral) gemara blatt test. FTI varsity team at an inter-Yeshiva game. Chemistry students enjoying the opportunity to demonstrate rapid oxidation of magnesium. Mazel Tov to Stanley Greenblum, FTI Alumnus (Class of 2016) on his upcoming marriage to Ms. Tova Heisler. Mazel Tov to Naftali Simcha Scheinberg, FTI Bais Medrash Alumnus on his recent marriage to Ms. Nechie Kesselman. Mazel Tov to FTI Alumnus (2006) Rachmiel Friedman, who was recently married in Eretz Yisrael. Rabbi Max went to the wedding and celebrated with Rachmiel, and his father Yechiel (both pictured above), and the entire mishpacha. Natan Blumberg, Dov Presby, and Yonaton Chiver participated in the Corriel Institute Science Fair. FTI is proud of all of them. Mazel Tov to Yonaton Chiver from Lakewood and Dov Presby of Monsey who are advancing to the regional competition in the next round. Bookmark this link and use it every time you enter Amazon.com so that your purchases will benefit our Yeshiva. 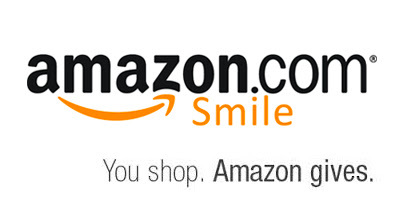 When you shop using AmazonSmile, Amazon donates 0.5% of the purchase price to FTI. Support us every time you shop! Rabbi Akiva Grunblatt, Rosh Yeshiva on Rabbinical Seminary of America, along with his rebbetzin, visited Cherry Hill over Shabbos Parshas Bo to give chizuk to the Yeshiva and community, and that he did. Rabbi Grunblatt delivered 7 different speeches over a 36-hour period. Friday morning the Rosh Yeshiva delivered a shmuz to the whole Yeshiva about the purpose of life and how to attain true satisfaction both in this world and the next. This was followed by a Rebbe in-service session discussing the pressing issues of Yeshiva chinuch today. After a heartfelt Kabbolas Shabbos and Maariv, all the bais medrash bochurim and the mesivta bochurim who stayed for Shabbos to grow from the unique experience of having a gadol in their midst, enjoyed a Shabbos seuda with the Grunblatts at the home of FTI Rosh Yeshiva Rabbi Max. Then back in Yeshiva, after Friday night seder, we were treated to an Oneg Shabbos with divrei Torah and Hashkafa from the Rosh Yeshiva about how to appreciate the growth that b’nei Yeshiva attain even though it happens gradually and is sometimes hard to see when you are living it every day. Shabbos morning after davening and a kokush cake kiddush, Rabbi Grunblatt gave a shiur klali on the sugya of Shavya Anafshei. The shiur was attended by the B’nei Yeshiva, Rebbeim, and many community members who came to hear a shiur from the Rosh Yeshiva. All in attendance were treated to the incredible sight of Rabbi Grunblatt fielding any and all questions from the crowd and firing back answers right and left throughout the shiur. The shiur was followed by lunch in Yeshiva where FTI Rosh Yeshiva Rabbi Davidowitz spoke about the tremendous impact that Rabbi Grunblatt has on the Rebbeim and the talmidim of FTI, especially because we ask many of our Da’as Torah shailos to him. There was a Shabbos afternoon Question-Answer Session for the N’shei Hayeshiva dealing with some of the unique challenges that arise from being marbitz Torah out of town. The entire West Side of Cherry Hill community was invited to a Shalosh Seudos with Rabbi Grunblatt sponsored by FTI at Congregation Sons of Israel. 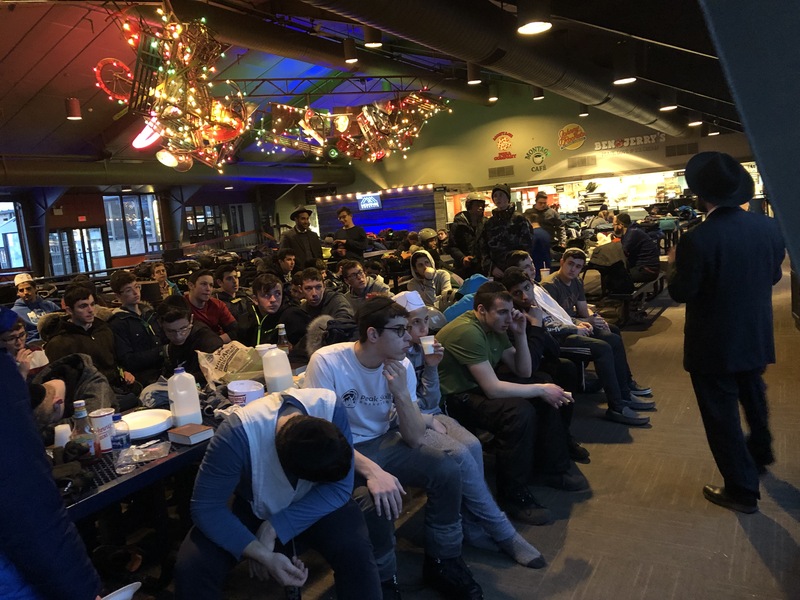 The Rosh Hayeshiva delivered Divrei Chizuk to the packed room and showed everyone through divrei Chazal that they can withstand and accomplish much more than they may think, and that they really can do almost anything. Motzei Shabbos, after father-and-son learning at the Yeshiva, there was a melava malka with a farewell shmuz from Rabbi Grunblatt. The evening culminated with joyous singing and dancing, capturing the true simchas Hatorah that was felt by all who had the privilege of spending Shabbos in the company of the Rosh Hayeshiva. Thank you Rebbe! B”H, for the fourth consecutive year, our incoming 9th grade class registration is expected to close out again after a busy recruiting season with open houses in Cherry Hill and New York, a school visit day for local 8th graders, and a shabbaton attended by over twenty 8th graders. B"H there is much interest in the Yeshiva. At our main Open House here in Cherry Hill, parents and prospective students got a glimpse of the well-rounded yeshiva experience offered at FTI. Rabbi Chananya Kramer, FTI’s outstanding Menahel, shared with prospective parents how FTI talmidim not only learn Torah here at FTI, but how they are prepared for their adult life through fostering independence in a happy and supportive atmosphere. Rabbi Ari Baum, FTI’s 10th Grade Rebbe, demonstrated how FTI talmidim are taught Gemara fluency through developing a deep understanding of the gemara, coupled with guided independent learning that is differentiated to the needs of each talmid. Rabbi Y.M. Hoffman, FTI’s General Studies Principal, emphasized how FTI’s general studies department is serious and challenging, and properly prepares students for their future academic careers and life. For information on how to apply, please contact the FTI office at 856-482-8230 or visit ftiyeshiva.org. Rabbi Moshe Strassfeld, FTI's 11th Grade Iyun Rebbe, joined FTI at the beginning of the 2018-2019 school year. Rabbi Strassfeld spent many years immersed in Torah study as a member of the Kollel in Yeshiva Chofetz Chaim in Queens, NY. During his decade of study in Queens, Rabbi Strassfeld had the opportunity to become a close talmid of the Roshei HaYeshiva, HaRav Dovid Harris shlitah and HaRav Akiva Grunblatt shlitah, as well as many other Rebbeim in the yeshiva. In particular, Rabbi Strassfeld served as secretary to Rabbi Mordecai Tropper zt”l, legendary mashgiach of the Yeshiva, where he was afforded an insider’s view of his wisdom and of his devotion to the talmidei hayeshiva. Since joining FTI, Rabbi Strasseld has been taken by the selfless devotion, love, mesiras nefesh, and personal responsibility that the rebbeim feel toward the talmidim. Rabbi Strassfeld is passionate about continuing that tradition and is doing his part to create an atmosphere where talmidim can grow into b'nei Torah of the highest caliber. Rabbi Strassfeld teaches 11th Grade Iyun, 10th Grade Halacha, and 11th Grade Bkius, and he is the Beis Medrash night seder Behalfer. Rabbi Kramer, FTI's Menahel, stated: "The talmidim of FTI are blessed to have Rabbi Strassfeld as a Rebbe. In addition to being an outstanding talmid chacham and mevakesh ha'emes, Rabbi Strassfeld has a deep care and love for the talmidim. There were many times that I have personally witnessed that when a talmid of his succeeded in saying a good sevara, it mamash made his day." Rabbi Chaim Pass, Rosh Yeshiva of Yeshivas Chochmas Shlomo in Bnei Barak, Israel, and grandson-in-law of Rov Shach, recently spent a Shabbos at Foxman Torah Institue. Throughout Shabbos, Rabbi Pass shared divrei Torah, hashkafa, and many inspiring stories. The highlight of his visit was on Shabbos morning when Rabbi Pass delivered a shiur on the sugya of Sfek Sfeka in Kesubos, the masechta FTI is currently learning. The talmidim thoroughly enjoyed and were tremendously uplifted by spending Shabbos with such a distinguished Talmid Chacham. Click here to read an article about Rabbi Pass and his connection with Rav Shach. Ari Blau, previously a prominant comedian and joke-writer for some of the most famous comedians in Hollywood, spoke to FTI students about his life and shared a PowerPoint presentation containing photos of himself with many famous actors and comedians. He explained that after having achieved success in the American entertainment industry, and getting close to many of these people, he was shocked to learn just how depraved, mean, and depressed they really were. Blau finally realized on a trip to the Kosel in Israel, that doing mitzvos and becoming close to Hashem is so much more important and meaningful than his career in Hollywood. Many FTI Rebbeim and Talmidim were deeply moved at hearing how important Torah learning and mitzvah observance became to him, to the point that he eventually dropped his career altogether because it didn't fit with a Torah lifestyle. Blau still lives in L.A., but now uses his many talents to inspire others to be frum and to help raise funds for local Torah and chesed organizations. You can read more about his incredible story at arisblau.com and he can be reached at arisblau@gmail.com. He showed us the awesomeness of being a Jew and gave me a new appreciation of the opportunity we have to learn Hashem's Torah, and we now realize more clearly how fortunate we are to be part of the Jewish people. FTI students have been enjoying a new three-times-a-week coding club, where students are learning Java programming language. The club has introduced students to the syntax of the language, and to the concepts of Object-Oriented Programming, the dominant paradigm in the software industry. 11th Grade CHUMASH is in the middle of examining the many p'shatim as to the backward nuns in the middle of Parshas Behaloscha. 9th Grade GLOBAL STUDIES explored the impact of Martin Luther's reformation of the Roman Catholic Church on world history. 10th Grade AMERICAN HISTORY I examined the French and Indian War. The ENTIRE YESHIVA successfully completed their quarterly Gemara blatt test before going on Purim break. 11th Grade HALACHA has been solidifying their knowledge of Hilchos Muktza. 9th Grade GEOMETRY was introduced to inductive reasoning. 12th Grade IYUN has been exploring the famous opinion of the Aruch in the sugya of Psik Reisha D’Lo Nicha Lei. 11th Grade AMERICAN HISTORY II examined the transition to new manufacturing processes during the Industrial Revolution. 12th Grade FINANCIAL LITERACY explored the tax benefits of investing in real estate compared with other investments. 12th Grade ENGLISH is studying the impact of expressing passion in writing. 10th Grade CHUMASH has been differentiating between what it says in Psukim, Midrash, and Meforshim. 12th Grade CALCULUS learned to calculate the optimal way of completing real-world tasks with limiting factors (e.g., creating the largest box possible with a fixed amount of material). 11th Grade ENGLISH is examining the classic book A Space Odyssey. 12th Graders took the SATs. 10th and 11th Graders took the PSATs. 11th Grade CHUMASH explored Moshe Rabbeinu’s motivation to prevent Yisro from returning to Midyan because of a possible Chillul Hashem. The ENTIRE YESHIVA's IYUN classes are study meleches machsheves on Shabbos including davar sh’eino miskaven, psik reisha, melacha sheino tzricha legufa, and misasek. 10th Grade HALACHA is exploring the various required food measurements that must be eaten in order to make a Bracha Achrona. 11th Grade HONORS BEKIYUS is sharpening their individual leining skills. 10th Grade BIOLOGY is studying photosynthesis. 9th Grade IYUN is getting comfortable at preparing Tosfos in hachana. The BAIS MEDRASH made a siyum on the first perek of Kesubos. The MUSIC ELECTIVE sudents are refining their guitar techniques, including playing chords and reading music. 11th Grade CHEMISTRY is doing experiments with acids, bases, and salts. The LAW ELECTIVE is exploring criminal law through role playing as prosecutor and defendent in various different cases. 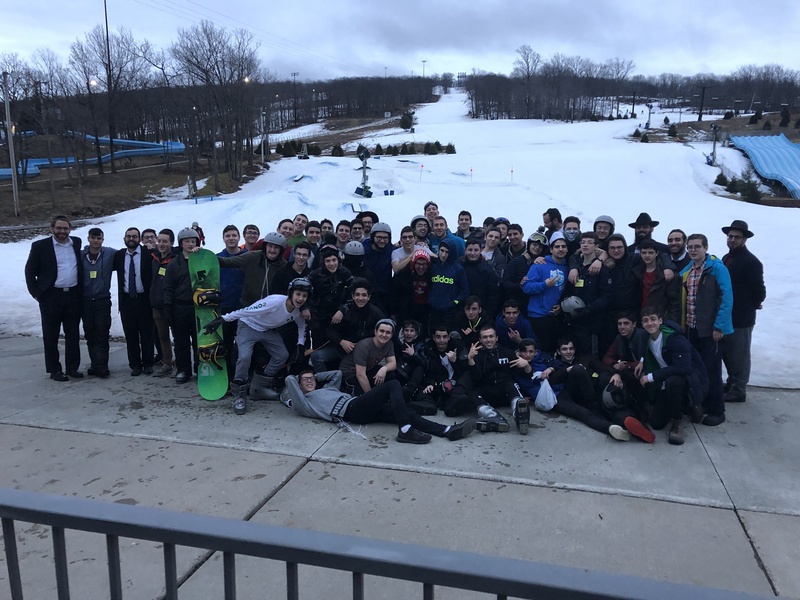 FTI seeks to engage the intellect and emotion of every student and produce talmidim distinguished by their dedication to ongoing Torah study, commitment to personal character development, and responsibility to Klal Yisrael.